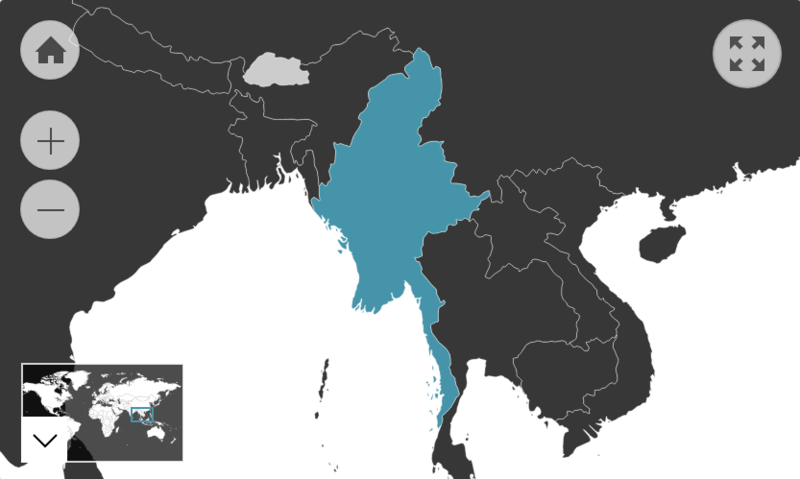 The Republic of the Union of Myanmar1 is one of the largest countries in Southeast Asia. Myanmar has a rich history and cultural tradition, visible in festivals (pwe), food, remains of past kingdoms and temples. The majority of the population are Bamar Buddhists; however, there is an incredible cultural variety. This diversity is especially visible in the Burmese migrant populations across the globe. Despite varying traditions and customs across different ethnic and religious backgrounds, there are some values that can be attributed to most people in the country. The Burmese2 are typically gentle, considerate, good-humoured and patient people. They appear to have a lot of gratitude for their situation, as well as hope for the future. This aspect of the Burmese character is particularly commendable when considering that the country continues to endure one of the world’s longest-running conflicts. The majority of the Burmese population belong to the Bamar ethnic group (also known as Burman or Myanmar people). This group is traditionally Buddhist and has dominated the country’s political sphere, particularly since the end of the British colonial era. However, while roughly 68% of the population belongs to this dominant ethnicity, the remaining third of the country contains over 130 ethnic groups and sub-groups that each has their own dialect and specific beliefs. As such, any generalisation of Burmese culture that correlates it with the Bamar majority runs the risk of misrepresenting many diverse customs and traditions that are practised by minorities, many of whom are indigenous. The different ethnicities are generally geographically distinguished. For example, the Bamar typically live in the upper and central plains, across seven regions or ‘divisions’. Meanwhile, each of the seven largest ethnic minorities has an allocated state, mostly located in the mountainous regions. These groups are the Chin, Kachin, Karen (or Kayin), Karenni (or Kayah), Mon, Rakhine and Shan people. There are also constitutionally unrecognised ethnic groups that live among the major ethnic groups, such as the Burmese Chinese and Panthays, the Burmese Indians, Rohingya, the Gurkha and the Anglo-Burmese. Ethnic affiliation offers the Burmese people a strong sense of identity and belonging. However, it should be noted that each ethnic group is not necessarily homogeneous. For example, there are over 60 different languages/dialects spoken among the Chin ethnic group. Some people may also have a strong association to a tribe or clan within their ethnicity. Nevertheless, one’s ethnicity can be a general indicator of a person’s religious affiliation, region of birth and social status. The cultural mainstream of Myanmar has become deeply associated with the traditions of the Bamar ethnic majority and influenced by teachings of the Buddhist religion. This standard of behaviour and national identity is commonly referred to as ‘bama hsan-jin’ – translating as ‘Burmeseness’. It describes cultural principles centred on knowledge of the Burmese language (Bama Batha) and Theravāda Buddhism. As such, generalisations describing this dominant culture may not be relevant to many people that belong to minority ethnicities and religions and speak minority languages. However, some values of Burmeseness are visible across most of the country. For example, most (if not all) Burmese show a deep respect for elders, dress modestly and act with discretion towards the opposite gender. Subtle, indirect behaviour is also characteristic to the Burmese character (see more on this in the following section). Generally speaking, people from Myanmar tend to maintain a modest and calm disposition. This is partly due to the concept of face. Face indicates a person's reputation, dignity and honour. By complimenting people, showing them respect or doing something to increase their self-esteem, you give them face. Similarly, people can lose face by being criticised or behaving in a way that is considered socially inappropriate. Therefore, the Burmese generally communicate quite indirectly and maintain a modest demeanour to protect their self-worth and peer perception. For example, people avoid excessive displays of negative emotions (e.g. anger, selfishness) or public outbursts. One of the biggest ways to lose face in Myanmar is to be contradicted, criticised or disagreed with by a junior (e.g. a child or any kind of subordinate). Such an action shows a lack of respect, which is both embarrassing for the person being disrespected, and uncouth of the speaker. However, the shame felt from moments such as these is not very long-lasting. While people may be temporarily embarrassed, small indiscretions rarely permanently damage one’s reputation as it might in some other cultures. Consideration of other people’s feelings is essential in Myanmar. The Burmese are very empathetic people and tend to assume a personal approach to everything. For instance, criticism is often taken to heart. Such emotional investment means the Burmese rarely seek objective analysis into personal situations; the advice of an elderly family member or monk is usually preferred over that of a counsellor. Furthermore, people are expected to respond empathetically in difficult circumstances. To console someone by being very stoic and logical about the situation (e.g. pointing out that an issue is temporary) could be seen as insensitive. The Burmese are constantly mindful of whether their actions could offend, embarrass or inconvenience other people. This is related to the concept of ‘ah-nar-de’ (or anade) – the feeling of not having the heart to say or do something that might affect another person’s feelings. Ah-nar-de represents the unwillingness of many Burmese to assert themselves or interfere with other people’s affairs. This concept underpins the expectations of social etiquette and interaction. As an example, if someone asked you to perform a favour that was becoming excessive, there would be a feeling that the person lacked ah-nar-de because they did not care or were unaware of how it was inconveniencing you. Such reluctance to impose on others means the Burmese tend to comply and say what they think the other person wants to hear rather than voicing their opinion. For example, if asking a Burmese what they’d like to eat, they might say, "Anything is fine," to avoid embarrassing you by asking for something you may not have. While this is very considerate, such delicate consideration can make it quite hard to get direct and open answers when asking more crucial questions. Ultimately, it sees the Burmese be quite accommodating and compliant people. The respectful and compliant character of the Burmese often leads them to be quite accepting of the differences in power and status throughout society. This obviously has its exceptions (for example, ethnic minorities have challenged the dominance of the ethnic majority), but on a day-to-day basis, people generally observe the power distances between members of society and obey their superiors. It is considered inappropriate to challenge, argue or answer back to someone with a senior social status, especially if they are older. Respect for the social hierarchy of age is particularly strong and important. The Burmese are expected to defer to their elders at all times. There is also quite a noticeable social divide between the educated urban elites and those living in rural areas. Apart from an obvious differentiation of wealth, there are often different family practices and attitudes between these two groups. The 2014 census reported that 30% of people in Myanmar lived in urban areas, whilst the majority (70%) lived in rural areas. People rarely travel outside of their city or region to explore the rest of the country. As mentioned previously, there is generally a strong sense of belonging and loyalty to one’s hometown and ethnicity as well as one’s religion. However, years of instability and necessity have prioritised the individual and family over the group. Social attitudes are generally individualistic, particularly in urban areas. There may be variation to this; for example, the Karen people are traditionally focused on harmony, consensus and cooperation and are much more likely to continue a collectivistic community structure. Nonetheless, the Burmese appear to be some of the more individualistic thinkers in the South Asian region. Myanmar has had a history of multi-ethnic tolerance and interchange. However, the era of colonialism emphasised ethnic differences that led to tensions between the Bamar majority and indigenous minorities. The British distinguished the more literate Buddhist Bamar majority from the (often non-literate) ethnic minorities in the hills and essentially practised a policy of ‘divide-and-rule’. Some believe these divides were pre-existing; however, the push for independence undoubtedly stressed them. The exact events are complex, but ultimately a strong political rhetoric arose in the mid-20th century. It asserted that the ethnic Bamar majority represented the national identity and culture of Myanmar. The spirit of the country has been correlated with Theravāda Buddhism (the traditional Bamar religion); meanwhile, minority religions have been seen as a foreign invasion. The use of minority languages continues to be discouraged. This nationalism marginalised the ethnic minorities in the hills and many ethnic groups that had been promised independence never received it (e.g. the Karen, Karenni, Mon and Shan). This led to ethno-religious antagonism and ultimately prompted some minority groups to mobilise as armed rebels to fight for self-determination against Bamar nationalism. Some of these groups are still active today whilst others have demobilised. Recently, some rebel groups have agreed on ceasefires; however, tensions remain. On a day-to-day basis, different ethnicities are respectful and courteous to one another. Many different ethnicities and religions often live together harmoniously in metropolitan areas. The Burmese are generally peace-seeking, passive people. Nevertheless, there is a lot of unresolved resentment and distrust that has developed over years of conflict. In addition to and overlaying the ethnic tensions, Myanmar has struggled to obtain political freedom. In 1962, the military seized political power, jeopardising democracy. The military junta suppressed democratic elections, imprisoned political dissidents, employed forced labour and seized foreign aid. Minority ethnicities and pro-democracy activists suffered the most human rights abuses under its rule. While much of the fighting has occurred along ethnic lines (between the Bamar military and minority rebels), most of the Burmese general public has been somewhat unified in their opposition to the military government’s brutality regardless of their ethnicity. Much of Myanmar’s struggle for democracy and reform has been symbolised by the actions of Aung San Suu Kyi, a pro-democracy figurehead. In 2010, she was released from house arrest and a new civilian government replaced the military junta. In 2016, her close ally (Htin Kyaw) became the first democratically elected president. The country has gradually progressed towards liberalisation in recent years. Many political prisoners have been released, and freedom of press, freedom of movement and freedom of speech have all improved. However, the army still has the constitutional power to block any legislation they disapprove of. Despite overall improvements in interstate violence, a minority in the Rakhine state have been seriously abused in recent years. Known as the Rohingya, this Muslim minority has been called the most persecuted minority in the world. They are targeted both by the military forces and radical Buddhist leaders, and are unable to claim citizenship in Myanmar, meaning they are not covered by anti-discrimination laws. International bodies (including the UN) have made widespread allegations that a process of ethnic cleansing is currently underway by security forces. However, the government has been denying this. It is not unusual to encounter open hostility to their ethnic and religious identity from the Burmese public. See ‘Religious Conflict’ under Religion for more on this. Unfortunately, daily life in Myanmar has been deeply disrupted and affected by the internal armed conflict. The violence started almost 70 years ago and has been labelled the world’s longest civil war. Many people who have migrated elsewhere are likely to have a dark familiarity with the effect of this violence, as much of the Burmese population has never seen peace in their country. The conflict itself (still ongoing) is deeply complex and difficult to understand. Scores of insurgent groups and coalitions have formed over its course to be combatants at different times. Despite the violence that has plagued their country, the Burmese are generally very peace-loving and possess an incredible sense of hopefulness for the future. They are usually primarily concerned with their safety and security. While wealth is a positive attribute, it is not the goal for most Burmese. Rather, being a moral person and leading a life according to the five Buddhist precepts is important. However, as the saying goes, “you can only keep your morals or precepts if your stomach is full”; safety and food are the top priorities. The Burmese are generally very patient and stoic in difficult circumstances. It is common for people to restrain themselves from reacting to problems, saying “Shi-par-say-taw” (‘Let it be’). This relaxed attitude is somewhat attributed to the spiritual culture of the country. Indeed, the teachings of Theravāda Buddhism consider the pursuit of revenge to be evil, and encourage people to be tolerant. The fundamental importance of religion can influence the Burmese to have a fatalistic attitude. For example, it may be assumed that the causes of problems are the result of a spirit’s work, and misfortunes are often attributed to an individual’s behaviour. For instance, Buddhists commonly perceive accidents to result from bad karma. Therefore, people are known to be quite stoic and tolerant in difficult situations as this explanation of problems can make them feel as if they somewhat deserve to suffer. This relaxed and patient attitude has also partly impacted the approach to time in Myanmar. People are not generally in a hurry and tend to carry out their business at a more leisurely pace. With such freedom of time, the Burmese often stop to help or put more time and effort into interactions. However, it also means that foreigners may be kept waiting longer than expected. Try to be tolerant in this regard. ‘Thee Khan’ (patience) is a core value in Myanmar and people generally don’t like it when they’re hassled or put in a pressurised situation. 1 See Other Considerations for an explanation of the country’s name and its usage. 2 Myanmar was formerly known as Burma and the demonym ‘Burmese’ continues to be the most widely understood point of reference in Australia. As such, the following profile will refer to the country as Myanmar, whilst referring to its citizens as ‘Burmese’.